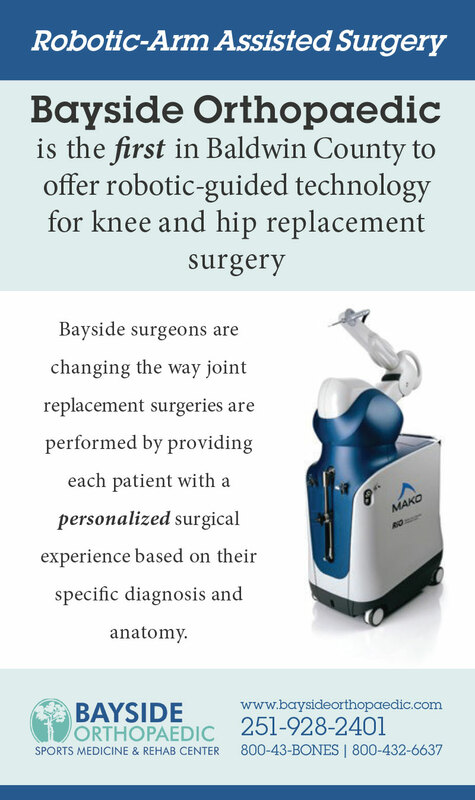 Bayside Orthopaedic was formed by Dr Paul Fellers and Dr Robert Eubanks in 1977. Both surgeons were instrumental in the formation of the Thomas Hospital surgery unit. In 1979 they hired Michael Zoghby, PT, LAT, CHT and began offering fulltime Physical Therapy services. The practice proudly grew steadily at its first location in the Medical Park behind Thomas Hospital. In late 1999 the surgeons opened a second location on Hwy 59 in Foley, which also offers fulltime Physical Therapy services. This office allowed the residents of southern Baldwin County to receive exceptional orthopaedic care close to home and work. Satellite locations in Evergreen and Brewton were added to serve communities without specialized Orthopaedic care. Our physicians are active in all of the communities we serve – supporting recreational sports programs, serving as Team Physicians for high school athletics, and in their respective churches.